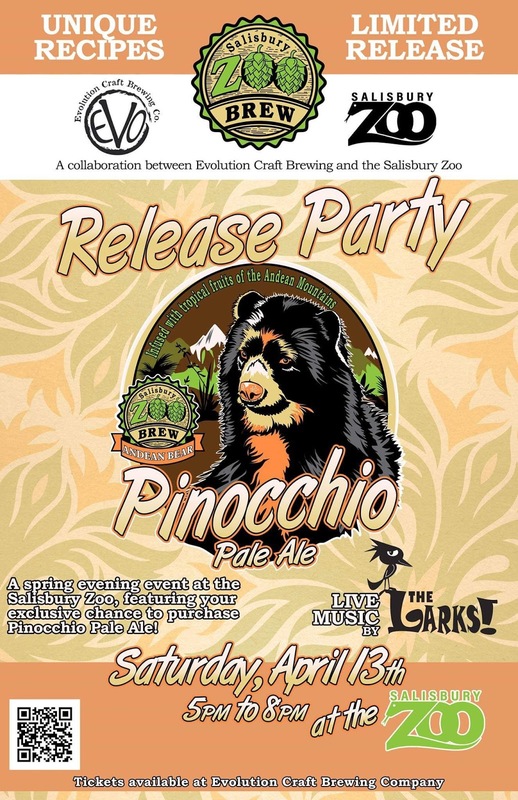 Join The Larks at Zoo Brew! 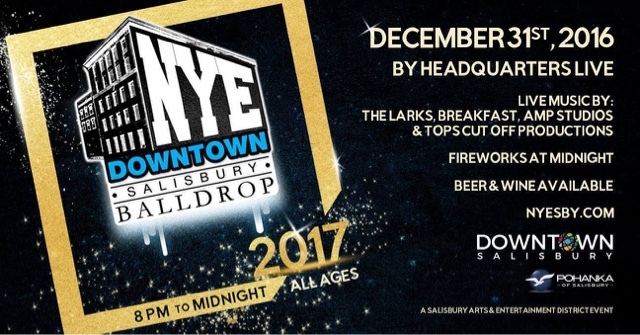 Help us ring in the new year in style with food trucks, a beer garden, ball drop, fireworks, all your favorite friends and of course some great live music! 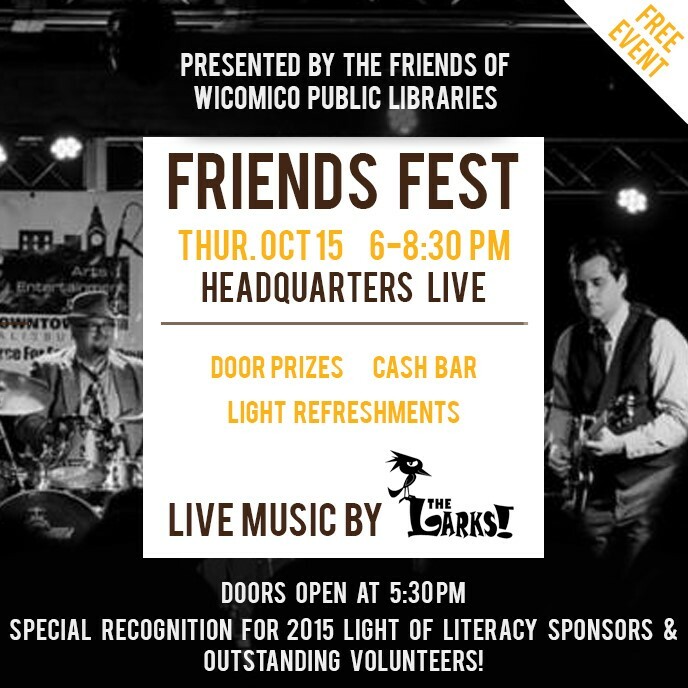 Festivities start at 8pm, see you there! Join Us for a Holiday Concert! Bringing the Funk back to Berlin on Friday! 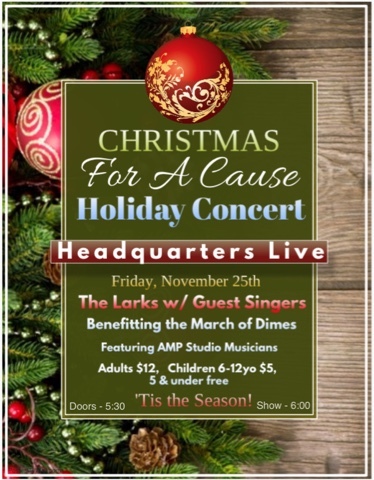 The Larks are pleased to take part in a musical benefit for our good friend, the booking manager at Headquarters Live, KT Tuminello. KT has been diagnosed with an inoperable brain tumor and as you can imagine, the medical expenses are beginning to pile up. We want to help him out with that. 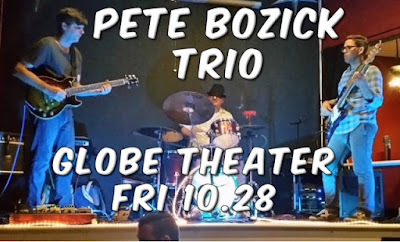 Please join us for an evening of music and positive energy to help our dear friend. For more info, you can check out the Official Facebook Page. The Larks are offering a special way you can personally help KT by hiring us for a private concert at your place. All proceeds (less travel expenses up to four hours away) will go directly to KT. To learn more about the private concert and to purchase, click HERE. Haven't been to the great new venue Headquarters Live yet? Well, here's your chance! Locals Jam Session @ HQ LIve! 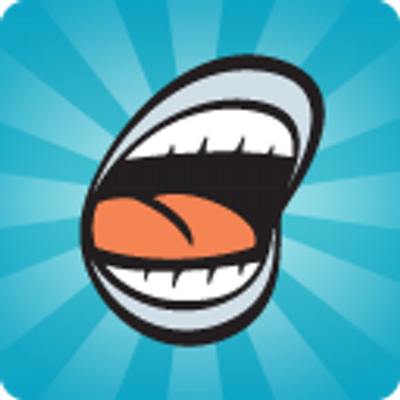 The Locals Jam is a one-of-a-kind jam session for our area and will be open to musicians of any instrument. The primary focus will be on funk, jazz, and blues but we welcome all styles. 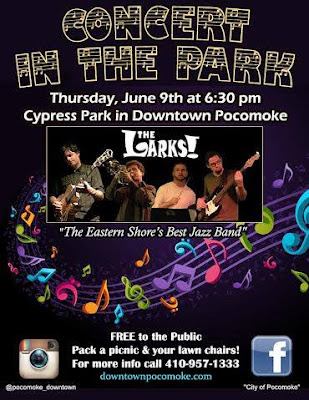 The Larks will supply the gear, all you have to do is plug in your axe and rock out! This is not your typical "open mic night" but rather a true jam session where artists who normally would not get a chance to play together will be able to join each other on stage to create some truly memorable moments through music. Players will be called to the stage at the discretion of the house band. One thing's for sure, at the Locals Jam you will hear unique songs and pairings that you won't be able to find anywhere else! Tickets are $5 at the door for this one of a kind experience! 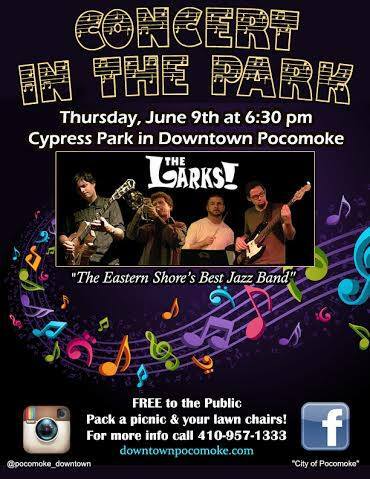 Check out The Larks as we take the stage outdoors in Downtown Salisbury for this new, free outdoor concert series. The show is Saturday, May 2nd from 4-7pm. There will be artists and vendors so bring a chair, bring a picnic and enjoy an afternoon concert. See you there! Get ready for the start of a new tradition in Salisbury... Second Sunday Jams. On the second Sunday of each month Headquarters Live will host a Blues, Jazz, and Funk show that will be all ages/family friendly. Food vendors will be available (weather permitting) so come have a meal and catch the bands. Up first: Bryan Russo & and The Tragic Figures w/ special guests The Larks. Doors open at 3pm. Larks at 4pm and Bryan goes on at 6pm. See you out there! Another fantastic video and huge thank you to all the folks at Burley Oak Brewing Co., Good Clean Fun Life, Bryan Brushmiller, Todd DeHart, Kyle Downes and Adam Downes. Thanks fellas!!! 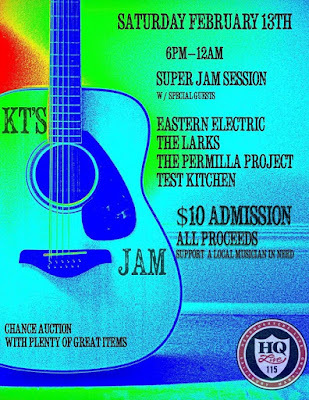 Come out and help us raise some fund to start Salisbury's very own Summer Concert Series! We need all of you to support local live music! A huge thank you to Burley Oak Brewing Co., Good Clean Fun Life, Todd De Hart, Kyle Downs, Bryan Brushmiller, and of course Mr. Bill Todd. Great work guys! 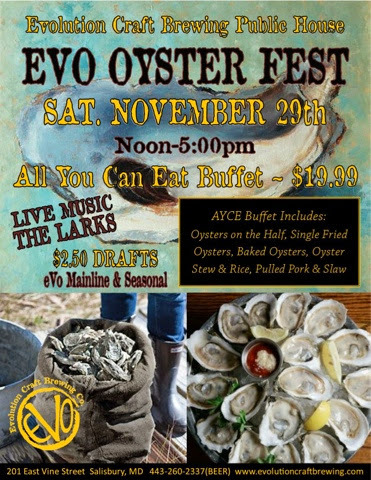 All-you-can-eat oysters and live music from The Larks...sounds like the perfect fall afternoon. See you there!